UPDATE: Added video at bottom. Spiegel Online reported that fires broke out in both engines of the blimp as it was attempting to land in the town of Reichelsheim, in the district of Wetteraukreis, which is located in Hesse. 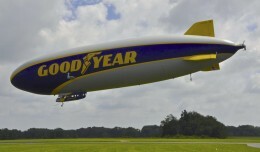 The airship was being operated by tire company Goodyear. According to reports, the Australian pilot warned the three passengers, who are all journalists, that the aircraft was about to crash and told them to jump out of the cabin when the blimp was some two meters (6.6 feet) above the ground. 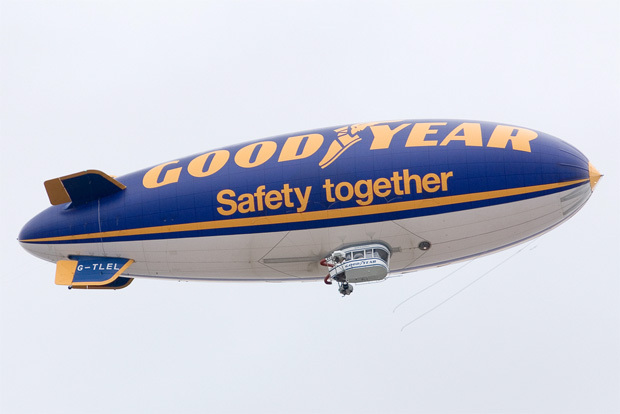 After the three journalists jumped from the airship, the blimp again rose to a height of about 50 meters (165 feet) above the ground, possibly because it had lost the weight of the passengers which jumped out. However, as the flames continued to intensify, the pilot was unable to regain control over the airship. It crashed seconds later and a fire completely engulfed the airship. The survivors include a press photographer and members of a TV crew, which were taking aerial footage of a local festival, reports said, adding that there had been a scent of fuel in the cabin prior to the accident. The journalists managed to take pictures as the airship came down. 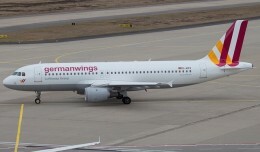 It was not immediately clear what caused the accident, but German authorities have launched an investigation to determine the cause. In May 1937, the German passenger airship the LZ 129 Hindenburg caught fire and crashed while attempting to dock at the Lakehurst Naval Air Station in New Jersey. Of the 97 people on board, 35 died. 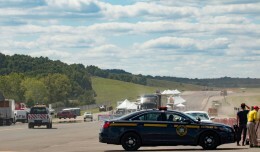 One person on the ground was also killed.